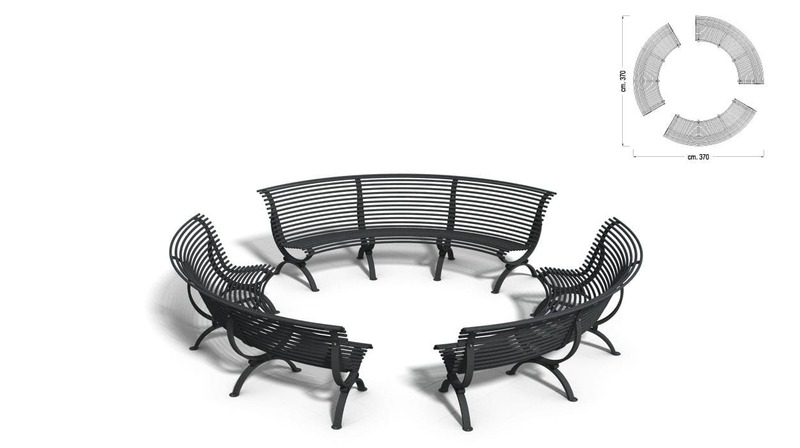 Public bench / garden / traditional / galvanized steel - CLEMATIS 298-V - DIMCAR s.r.l. 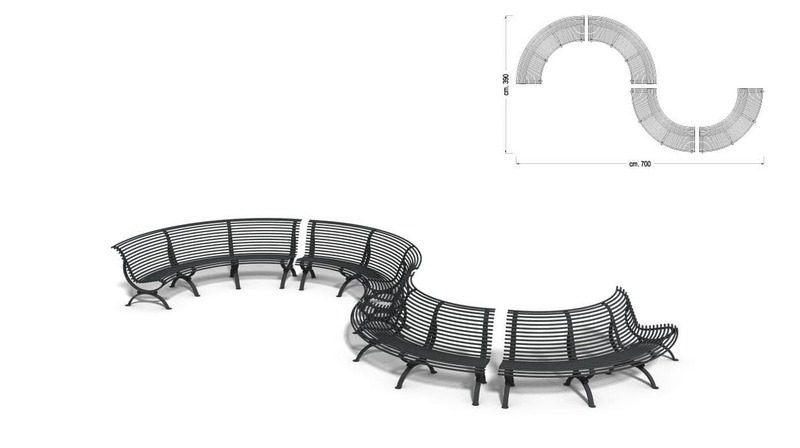 Curved shape bench made of galvanized steel tubular, Clematis model with concave side seat. The structure is made of four supports consisting of opposing arches in galvanized rectangular tube decorated with galvanized rounds. The supports are equipped with plates at the base for the correct fixation to the ground by tirafondi and expansion joints. Seat and backrest made with twenty-five curved profiles in galvanized steel round tubes complete with spherical end caps made of PVC. 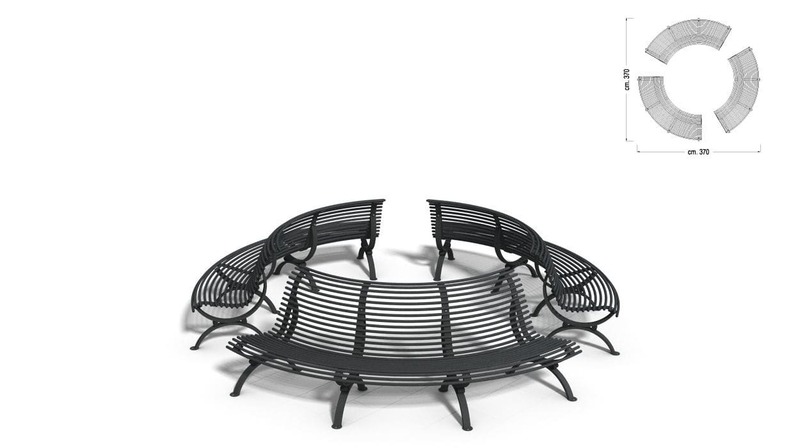 The profiles are welded onto special galvanized flat iron shapes that give it anatomical shape. 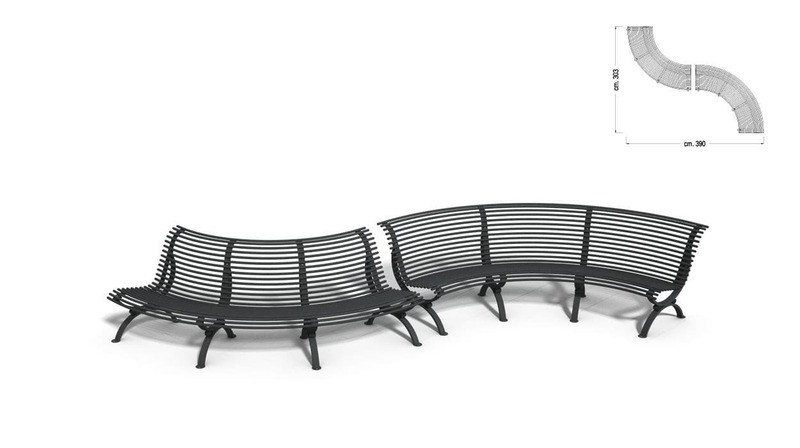 The design of the Clematis 298-v bench sets the seat to the concave side. 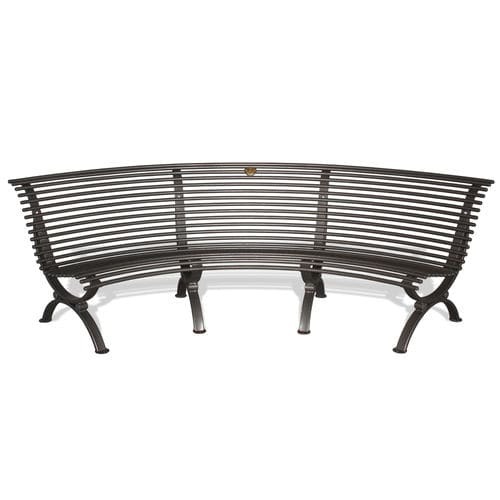 The bench is supplied in assembly kits with stainless steel screws and assembly instructions. The base finish for this product is a gun gun color characterized by a dark gray metallic effect. The customer may, however, require a different finish, chosen from the RAL colors available on our website. The painting technique used for the galvanized steel structure is made with thermosetting powders with baking.